Things between point guard Dennis Smith Jr. and the Mavericks have been a bit bumpy as of late. Smith has missed the last five games with back soreness and an undisclosed illness. Meanwhile, rumors swirled that the team was looking to trade him. He hasn't been in the team's training facility and hasn't traveled with them. Well, apparently the bridge isn't as torched as we expected. Reports suggest that Smith will return to the court for Dallas on Tuesday night. Filed to ESPN — Sources: Coach Rick Carlisle informed the Mavericks at today’s practice in Milwaukee that Dennis Smith Jr. plans to return to the team for Tuesday’s home game against the Clippers. 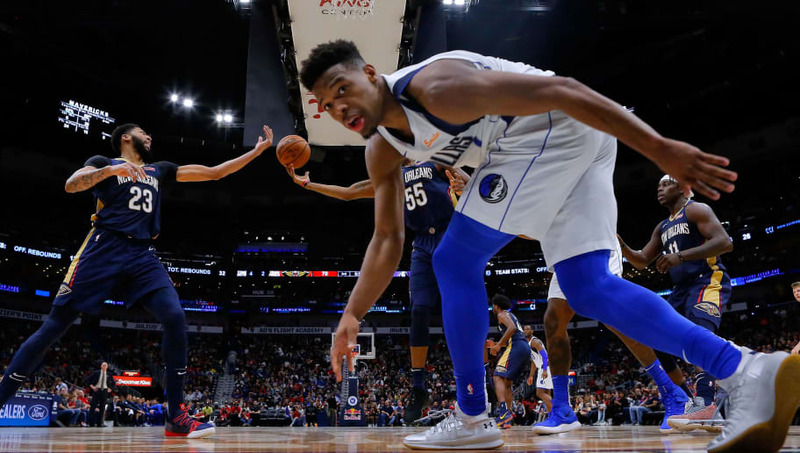 Smith was openly upset with his role on the team after the stunning rise of rookie Luka Doncic. The offense was no longer running through him and the 21-year-old stud reportedly wanted out. Head coach Rick Carlisle is positive that ​the team and Smith can work things out going forward. He expressed they want him back. ​​He also mentioned that he believes the absence is due to ​the mentoring of Smith's manager. Carlisle told 103.3 FM ESPN in Dallas, "This is just my feeling, is that he's being told to stay away for whatever reason. I just don't want people out there to think he is snubbing the Mavs or anything like that. This is just my opinion, I believe there's business stuff going on, and he's being told to stay away." Smith has shown flashes of exponential talent in his young career. We'll see if he can bounce back and continue to make plays on the hardwood.